Congratulations to our next honoree, Dr. Marianne Cutler, Associate Professor of Sociology. When you see Dr. Cutler or any of our honorees around campus this year, please recognize their exemplary service by introducing yourself and thanking them personally. There is no greater acknowledgment! Dr. Cutler strongly supports student success. She encourages students to think critically and inspires academic excellence. 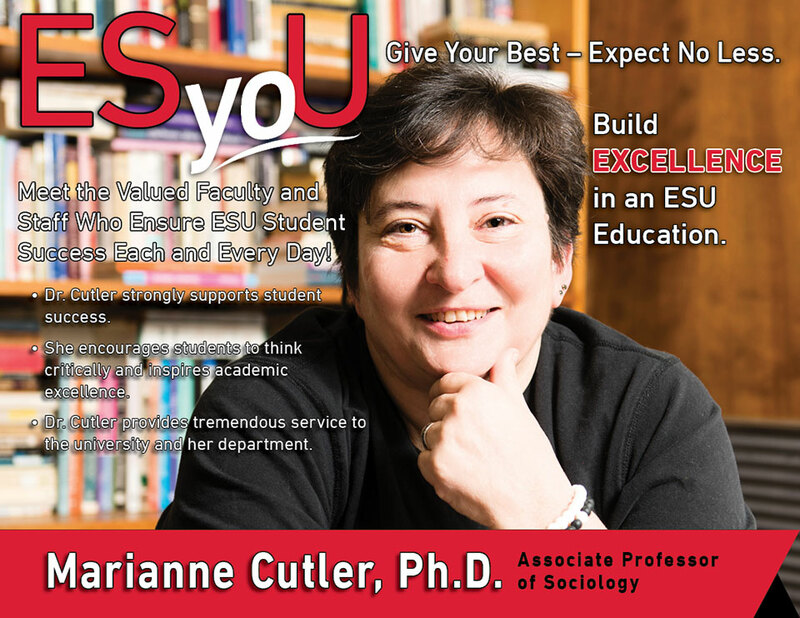 Dr. Cutler provides tremendous service to the university and her department.